Impressive stuff, to say the least. Keep it up! BTW, in my opinion, would be really nice to add new cars (buses etc) for Free Ride and Free Ride Extreme. Well done for this gas station, also the others will be changed? Although the explosion metal pieces are still a bit "strange", like a few bits are missing. It is possible only by changing color in texture. I've been here long ago, so it's time to show something about progress. Progress of this mod did not stop, but I can make models slowly in addition to my daily work. 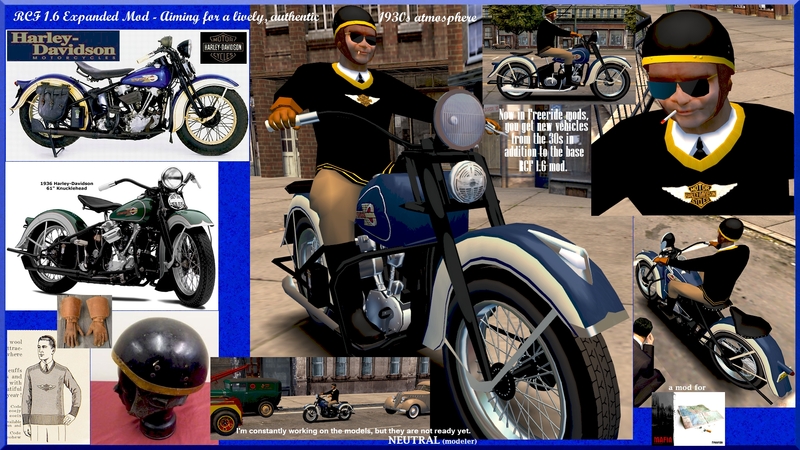 I will make a video about the traffic again, and firstly here is a preview of new vehicles. 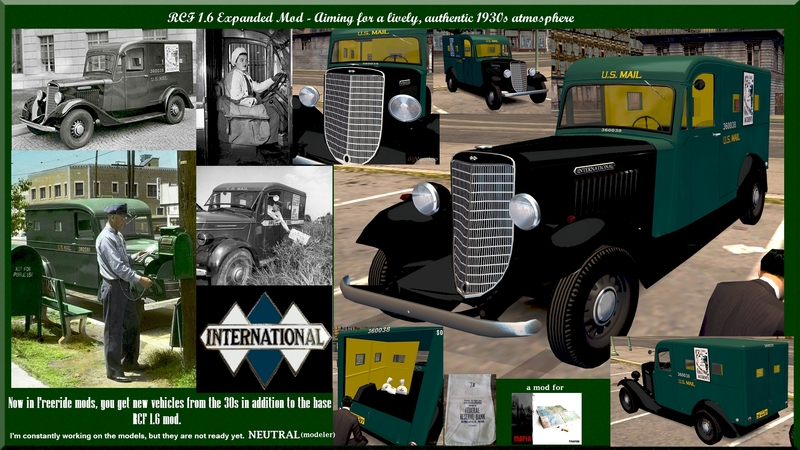 I will also renovate older RCF models too that to be there more kind of vehicles in traffic than basic cars. Neutral you've done it again!! You've blown my mind to 1930 and back! Amazing work man, and thanks for continuing this mod. You probably will not believe it, neither you nor who will read this post, but do you know what happened when I found this mod by chance this morning? I cried for joy. Believe me, I really did it. It's what I've always wanted, and now it's real. A few years ago I also tried to do a similar project, but I was alone and in the end the frustration prevailed, so I decided to abandon everything. And believe me, the project was doing well, but now you have created this fantastic mod, and I am immensely grateful to you. 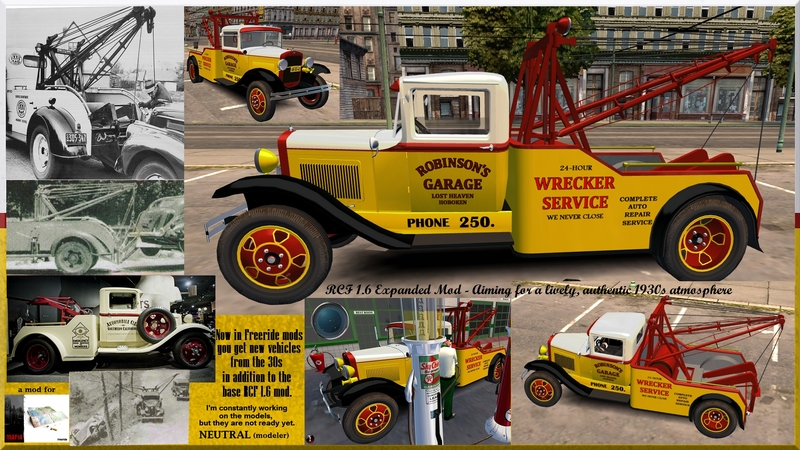 In any case, I can not wait for the new vehicles to be released, like the bus and the tow truck, although I would also like to see the steamboat with the same quality you used to recreate car models. It would be really fantastic, since it is one of my favorite missions. The plane in the mission Crème De La Crème would be great too! P.S . 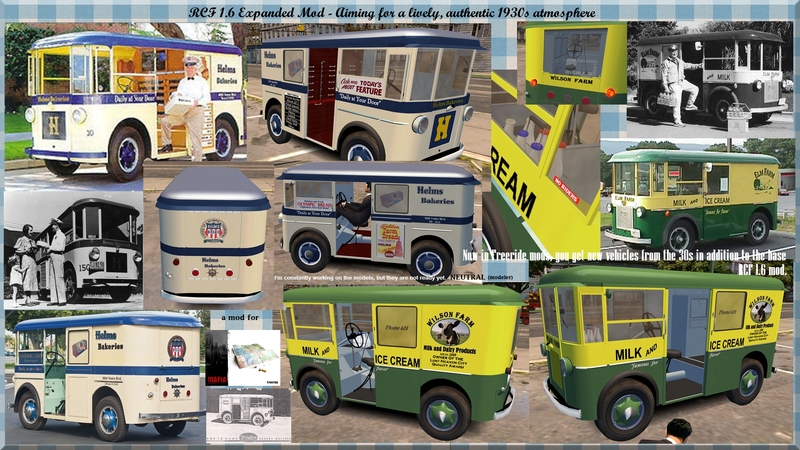 : it would be great to get a version of the bus like the one contained in this pack http://www.miryestore.com/product.php?productid=16914. 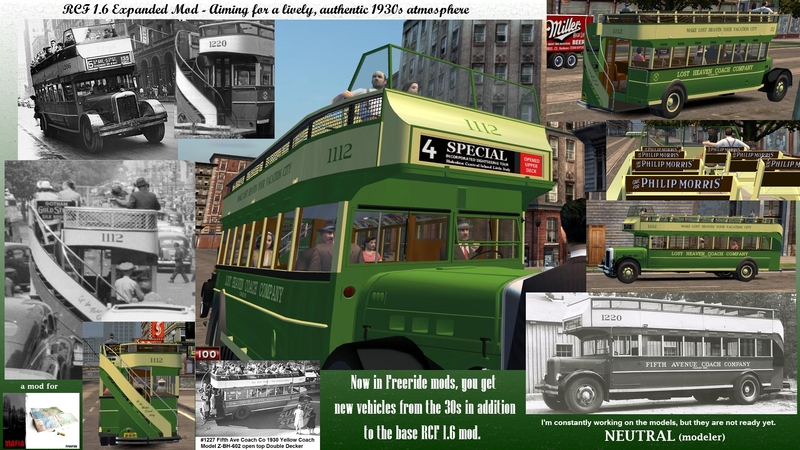 I bought this some years ago to put the bus in the game as a mod, but I did not realize I did not get the complete version, so I do not have it. Damn! Edit: one day I wanted to buy all these models, but then I thought it was a crazy thing! However, since you are so skilled, it would be great if you created some of these models to be included in the game, like the 1929 Lincoln Town Car, civilian or police version, one of my favourite car ever! Take a look here! Awesome car models Arthur! Maybe you and Neutral could work together and make an Ultimate Real Car Facing Mod. That is an amazing level of detail, although I am wondering what happened to the Automobile Club of Lost Heaven. Hey, thank you for appreciating. Obviously I want to specify that I shared those links not to diminish the work of Neutral, which is exceptional and unexceptionable in every way, but it was only a quick way to better understand what I meant. 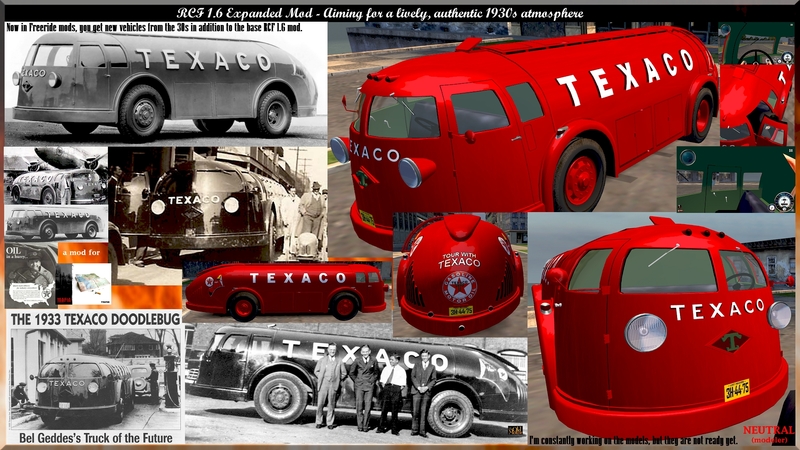 That those models have a superior quality is evident, but they are built to make static renderings, close-ups and so on. The quality of the Neutral models is instead in my opinion perfect, really. Then, unfortunately I started this project almost ten years ago, in 2009, but since then I have stopped modeling and using 3D programs, so I forgot everything. 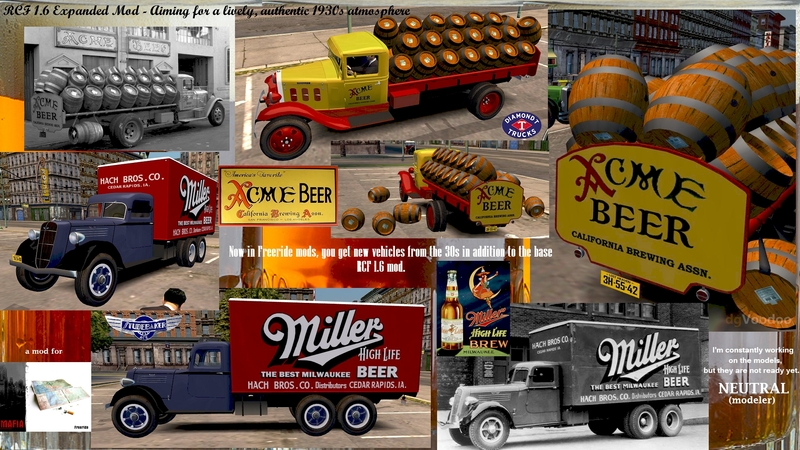 Moreover, my work prevents me from contributing to this project, and in fact that is the reason why I bought the miryestore vehicle pack. I preferred to convert the models, insert them inside the game and play. Faster and less frustrating. For Hunter: what you mean with "what happened to the Automobile Club of Lost Heaven"? For Neutral: do you know what would be great too? 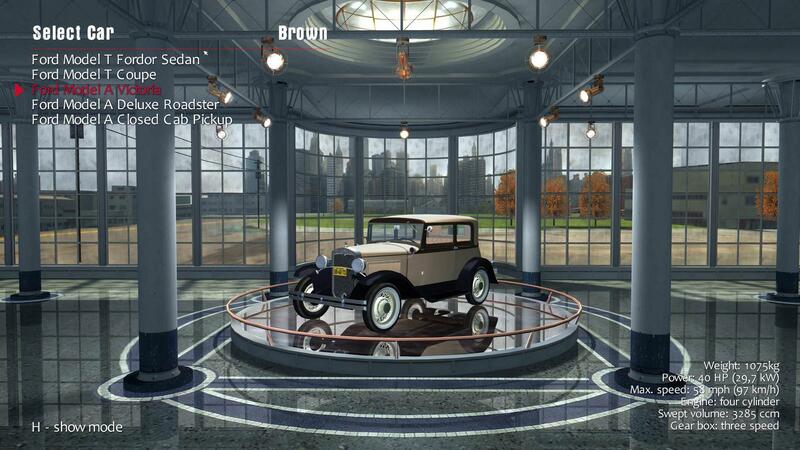 Convert and make more accurate the 1930s cars from Mafia II, and put them in the game. 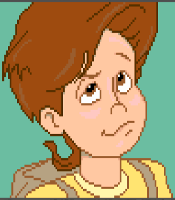 AMadeMan, Hunter, what do you think about this? names are still from the original game e.g. and not as should be in RCF. Where are you seeing 1.6.1? On realcarfacing.hu I can only see 1.6 unless I'm missing something. Just installed 1.6.1 and it's showing Ford as it should. This is over an existing installation too. Take it you used the Mafia Data Xtractor? I tried a couple before I got the rw_data file.